I wanted to give AHF an update on Angel and I since moving from Orange County. We started as a pet partner team in 2009 with Delta Society/ AHF. We are still current with AHF and visit through Valley Humane Society in Pleasanton, CA and ARF Pet Hug Pack in Walnut Creek, CA. 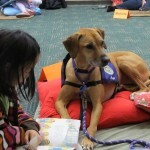 We visit the Pleasanton Library for the Paws to Read program and Marilyn Ave Elementary School Library for VHS. We visit Hope Hospice and the Kaleidoscope After School Program for children with disabilities – Easter Seals in Dublin, CA. 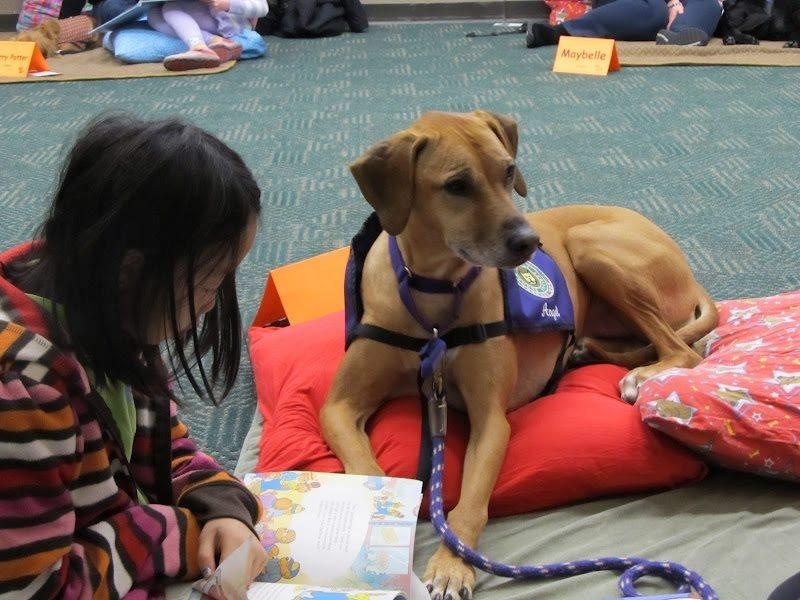 I feel so blessed and honored to be able to represent AHF and bring happiness to children in all of these programs with my beautiful Rhodesian Ridgeback pet partner, Angel. This entry was posted on Monday, December 24th, 2012 at 9:53 am	and is filed under Caring Creatures Pet Partners, Caring Creatures Teams, Pet Therapy. You can follow any responses to this entry through the RSS 2.0 feed. You can leave a response, or trackback from your own site. …..and Liz we miss you, but are so happy that you continue to share your wonderful Angel!